I always wanted facelift tape to make MY eyes look more Asian. I'm a little jealous of the models at MFW's MÃ©lissa Nepton F/W 2012 show. Is it weird that when I was a kid, I saw facelift tape in a magazine and instantly wanted some so I could make myself look more Asian? #shutupStaffnobodyaskedyou. 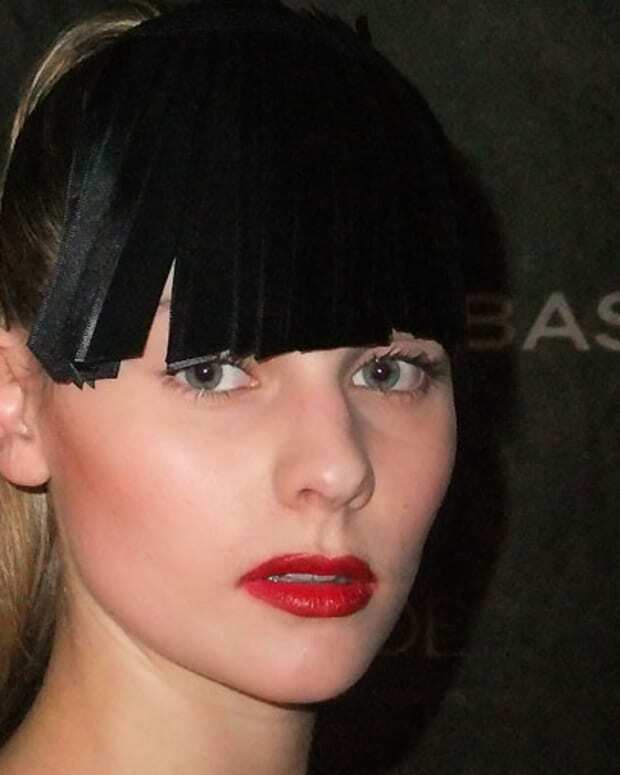 Well, at Melissa Nepton&apos;s Fall/Winter 2012 show at Montreal Fashion Week, lift tape was employed to make the models look more exotic. It&apos;s usually camouflaged by hair and clever angles for photography (usually featuring Hollywood types), but not this time. According to the show&apos;s key makeup artist, Trinidad Revas, the inspiration came from designer Melissa Nepton, whose heritage includes Native ancestry. "The tape and lifted eyes emphasize the powerful brows and give the models a native look," he said. "It&apos;s an earthy glamour. We added black eye shadow to extend the eyes, and highlighted around the tape to show that we don&apos;t take ourselves too seriously." Key to the look was Covergirl Brow & Eyemakers Pencil in #505 Midnight Brown, and Eye Enhancers 1-Kit Eye Shadow in #440 Shimmering Onyx. Clean Pressed Powder #255 defined the cheekbones. A mix of coppery eye shadow from the Eye Enhancers 3-Kit Eye Shadows in #119 Dazzling Metallics and Blast Flipstick in #855 Minx tops the lower lip. Hair was all about the middle part, to play up the Native-beauty influence. "No texture. 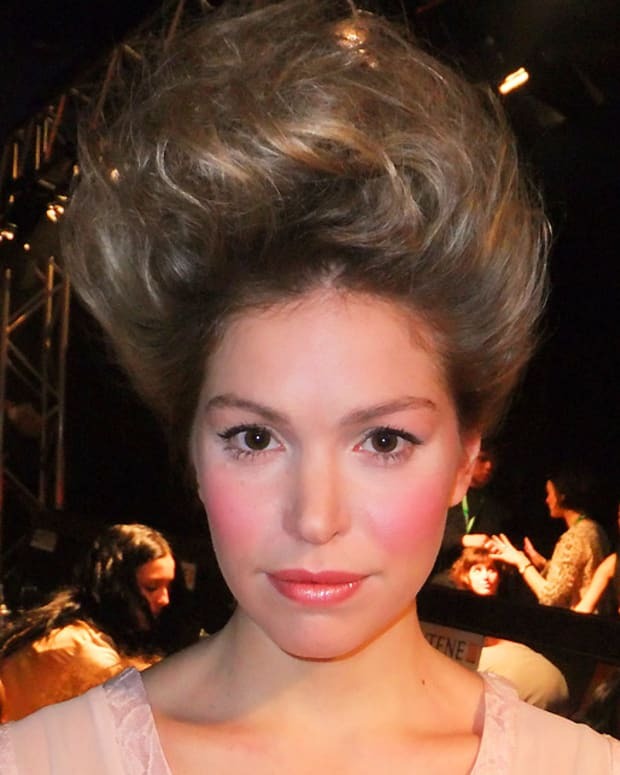 Just hairspray," said Denis Binet, Pantene/Clairol Quebec consultant and chief hairstylist for MFW. Nuts. Why didn&apos;t I scoop some lift tape when I was backstage? Sheesh.